The Board of Directors met during the General Annual Meeting in June, and again in September. During these meetings, several important subjects were discussed. The new membership structure included in the By-Laws will allow groups that use the Long Term Athlete Development Model (LTAD) to become members of CDSA. The proposal was unanimously adopted at the General Annual Meeting last June. Mandates of six members on a total of seven on the Board were renewed during the General Annual Meeting. Male Athlete Representative Paul Halas decided to leave his seat. He is replaced by John Gessner. 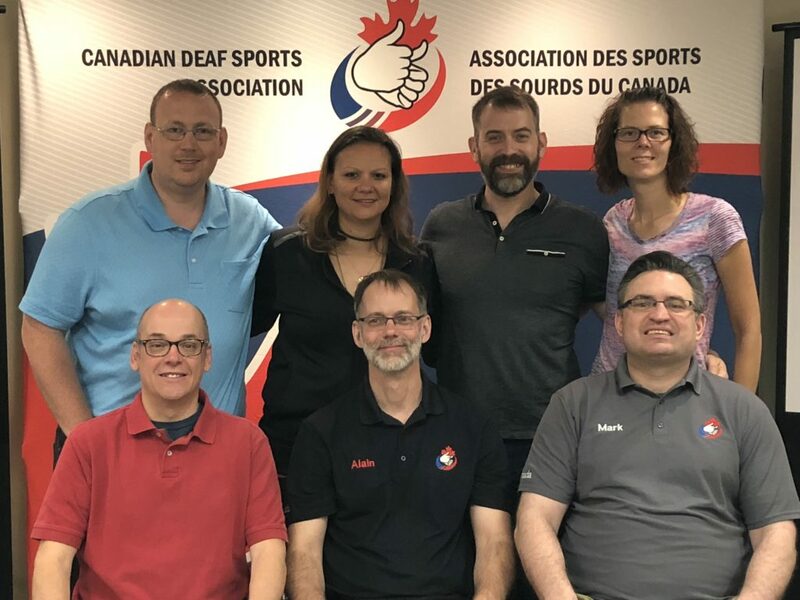 CDSA and the Alberta Deaf Sports Association developed a financial agreement for organizing the 2020 Canada Deaf Games. The event’s logo was unveiled. CDSA attended MayFest in Toronto in May 2018 and the Alberta Deaf Expo in Edmonton in September 2018. 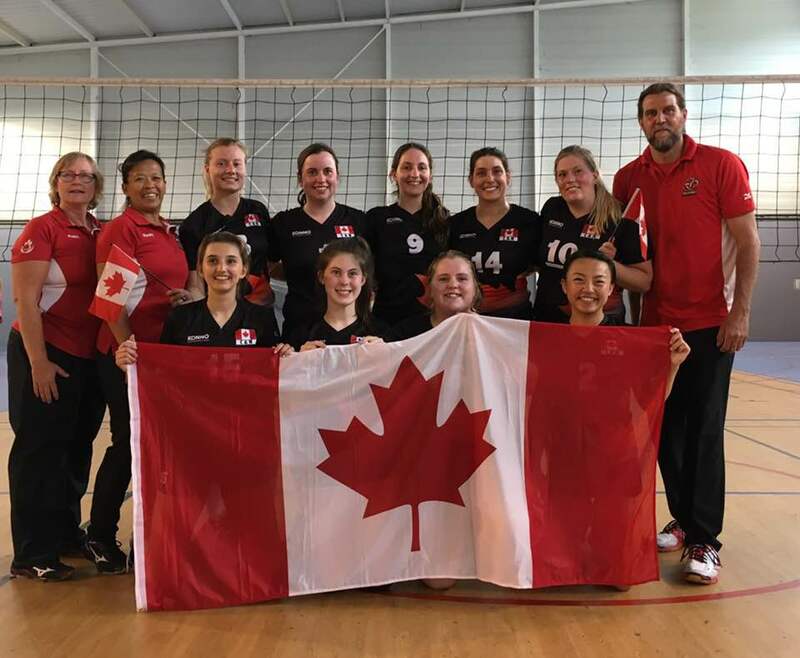 The Canadian Women’s Volleyball Team (development) competed at a friendly tournament highlighting the 80th anniversary of the Montpellier Deaf Sports Club in France in May 2018. Nine players travelled to France (2 from BC, 1 from Alberta, 1 from Manitoba, 1 from Ontario, 2 from Quebec, 1 from NS and 1 from Canada). The team played four games in the preliminary round and playoffs. Canada won the tournament with a total of 10 wins and two losses. The Canadian Men’s Basketball Team competed at the U21 World Deaf Basketball Championship in Washington, US in July 2018. Eleven players travelled to the US (2 from BC, 3 from Alberta, 4 from Ontario, 1 from Quebec and 1 from Canada). Canada placed seventh with two wins and five losses. The Canadian Golf Team competed at the World Deaf Golf Championship in Dublin, Ireland in July 2018 (4 golfers from BC, 2 from Manitoba, 2 from Ontario and 2 from Quebec). The best Canadian results come from Sasha Loan (QC) with her sixth place in the women’s category (27 women) and Jonathan Rose (ON) for his 12th place in the men’s category (50 men). 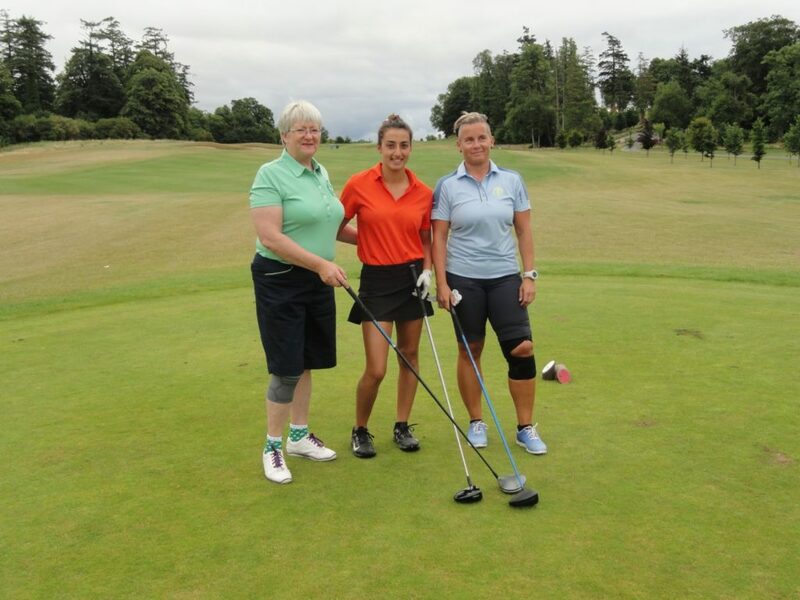 Sasha Laoun (QC) pose with players from Sweden and Ireland at the World Deaf Golf Championship. Check our Website and Facebook Page in the fall 2018 for more details about the selection of athletes! Here is our 2018-19 Programming! For more information on conditions for financial assistance please contact your PDSA (BCDSF, ADSA, SDSA, MDSA, ODSA or ASSQ). For other provinces, please contact CDSA.